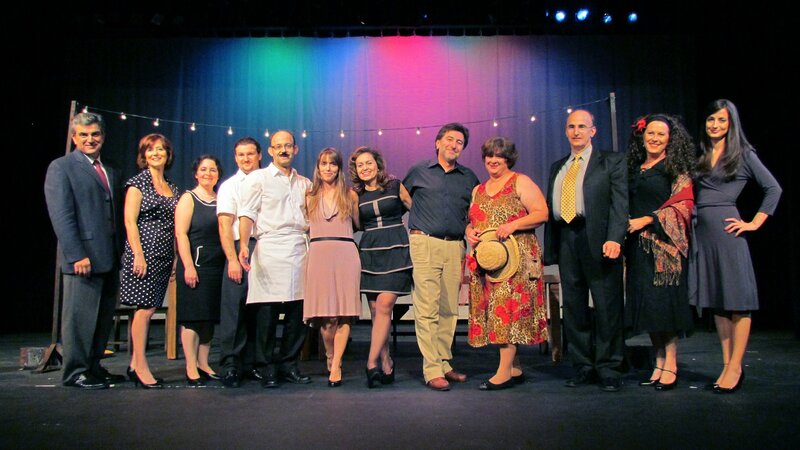 Since its inception, HPST has hosted numerous presentations, lectures and performances. Listed below are a few of the most significant ones. “Your Heart and Open Heart Surgery,” by Dr D. Boulafendis, MD (1980). Art historian Diane Gode, Southern Methodist University, spoke on “Conserving the Splendors of Greece – The American Connection” (1982). Journalist and author Nicolas Gage, spoke about his novel “Eleni (1983). British journalist Christopher Hitchens, spoke about his book “Cyprus” (1984). Professor Charles Moskos, presented his book “Greek Americans: Struggle and Success” (1990). Nobel Prize nominee Dimitris Nanopoulos, discussed String Theory (1991). 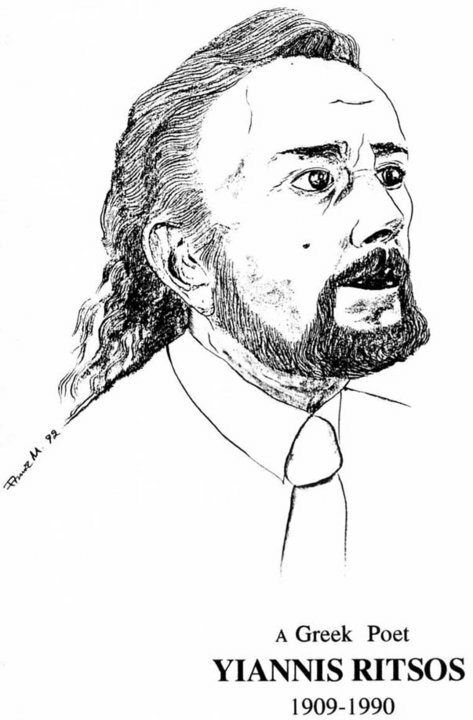 Professor John Lienhard, creator of the radio program “Engines of our Ingenuity,” examined the impact of Plato and Aristotle on Western thiking (1993). Professor Mary Lefkowitz, discussed her book “Not Out of Africa,” rebuking the the “Black Athena” view on Greek Civilization (1998). Professor Michael Economides, presented his book “The Color of Oil” (1999). Professor C. Doumas, University of Athens, lectured about the “Cycladic Islands in Prehistory” (1992). Dr. Tassos Tanoulas, architect in charge of the preservation of Propylea of Acropolis, spoke about “The Propylea and their Restoration” (1993). Dr. John Killen, Cambridge University, “Mycenian Feasts and Sacrifices: the Linear B Evidence” (1995). Dr. Suzanne Murray, University of South Florida, gave a presentation on the “Bronze Age Paintings of Greece” (2000). Dr. Kathleen M. Lynch, University of Cincinnati, “At Home in Archaic Athens” (2004). 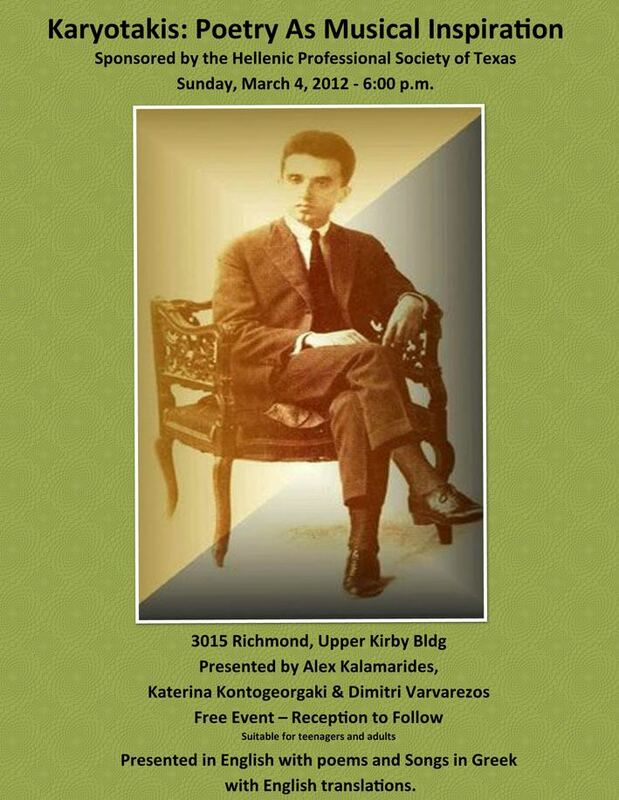 “Language: a journey of the Greek Language through the Ages – Dr. Alexander Kalamarides. “Stages in Professional Career Development” – Phil Mavromatis. “The Origins and Structure of Neo-Byzantine Chant – Dr. George Stefanidakis. Youngblood , 2009 HPST Scholarship recipient (2010). 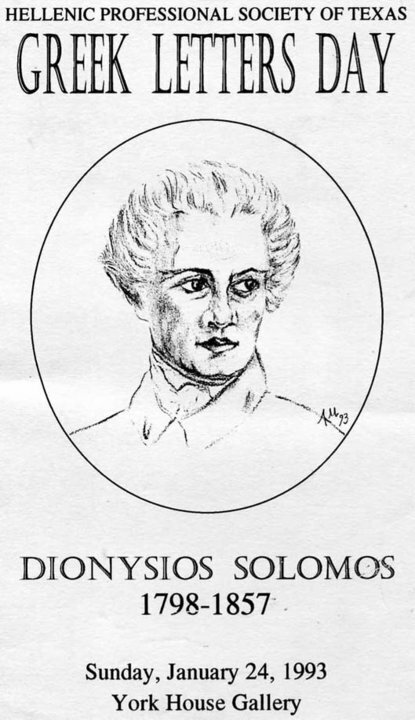 Piano recital by Denos Gianopoulos (1975). “Scholarly Analysis of Greek Folk Music and Dance” at Rice University Hamman Hall, by Dr. Sotirios Chianis, Ethnomusocologist and Chairman of the Music Department at the State University of New York (1987). 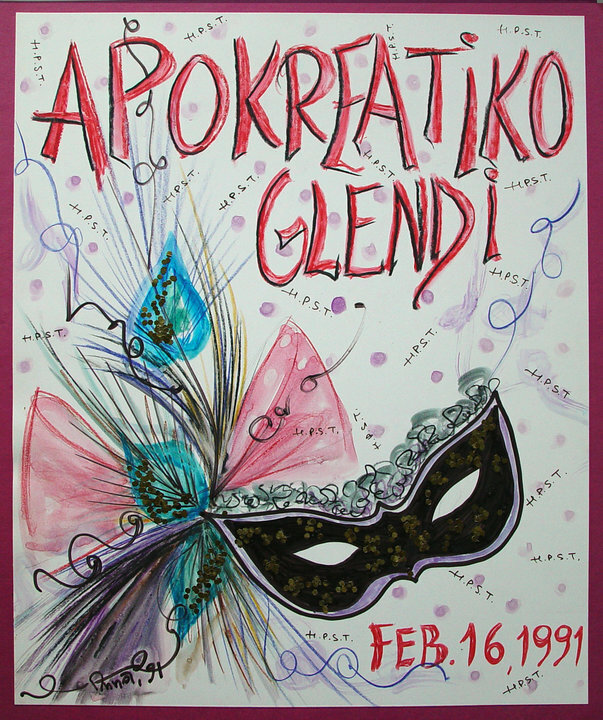 “Karagiozis Shadow Theater” – script by G Magazis, performed by HPST members (1987). 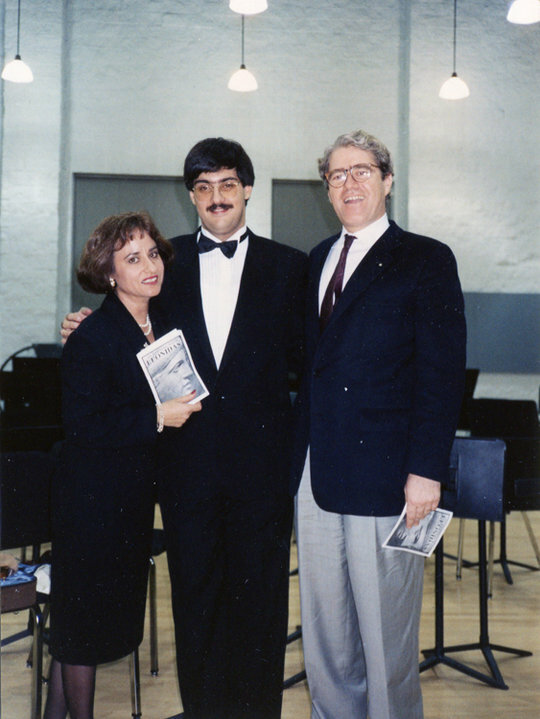 “An Evening with Leonidas” – Concert by violonist Leonidas Kavakos (1991). Oratorio on the epic poem by Odysseas Elytis “Heroic and Elegiac Song for the Lost Second Lieutenant of the Albanian Campaign” composed by Dr. George Blytas (1991 & 1995). Theater: “Η Θεμις Εχει Κεφια” – Satyrical short plays by Dimitris Psathas (2011). 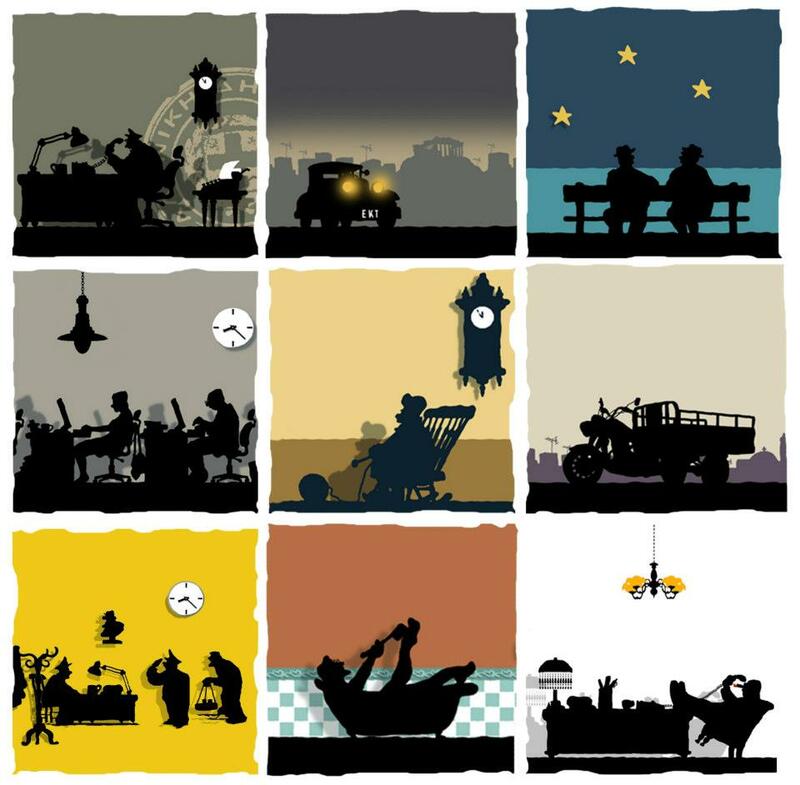 Theater: “Match Made in Hellas: Σολων και Λουκας” – Five one-act, thought provoking satyrical plays by Kostas Mourselas and Nikos Perelis (2013). Book Club – Reviewing the works of contemporary Greek authors. Folk Dancing – Formed the Hellenic Folk Dancing Group of Houston, which participated in numerous Houston International Festivals and other Greek and international celebrations. Hosting Greek Dignitaries – Hon. 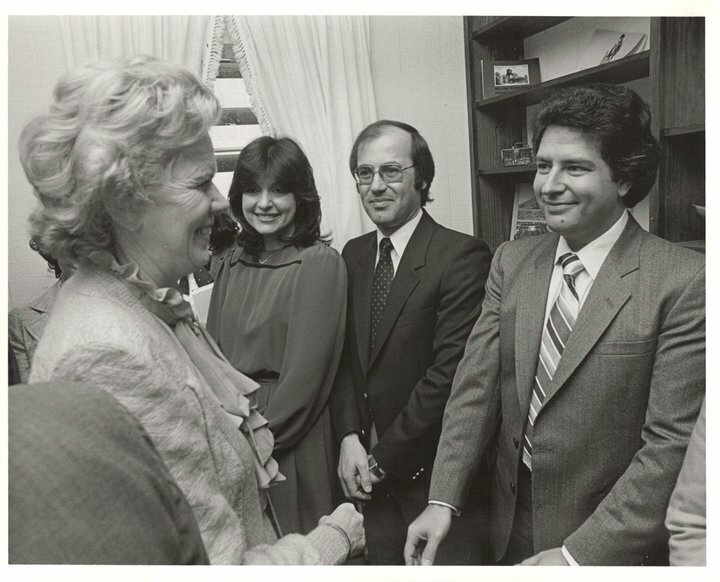 Menelas Alexandrakis (first official visit of a Greek Ambassador in Houston – 1975), Mrs. Margarita Papandreou & Mr. K. Papoulias (1982), Hon. Andreas Iakovidis (Ambassador of Cyprus), Hon. 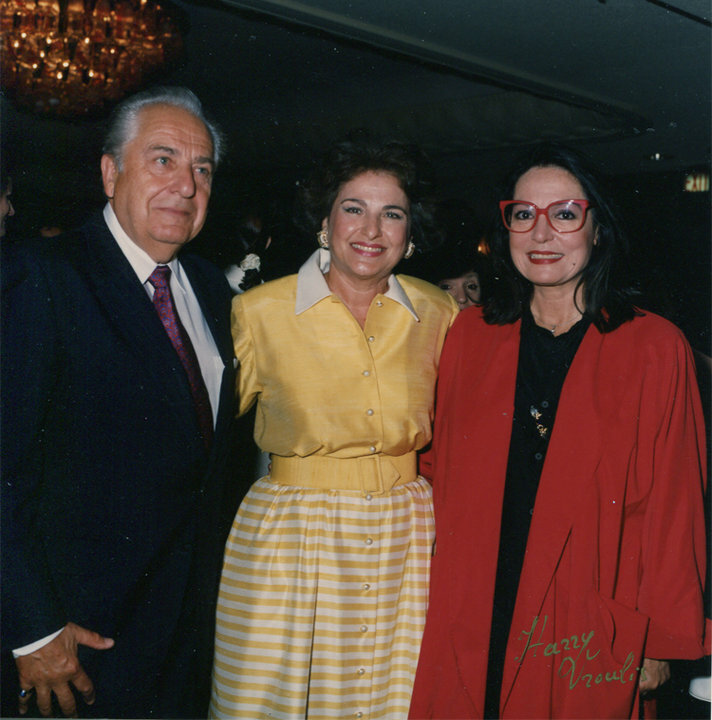 Lefteris Anghelopoulos (first Consul of Greece in Houston -1989). Facebook Page (created in 2010). 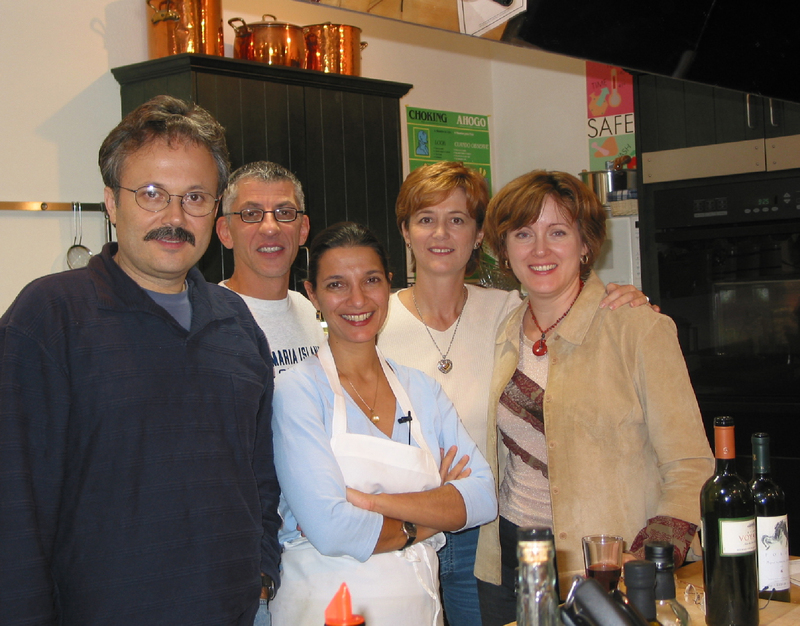 Movie Presentations – Πολιτικη Κουζινα (A Touch of Spice), Νυφες, Λουφα και Παραλλαγη, El Greco. 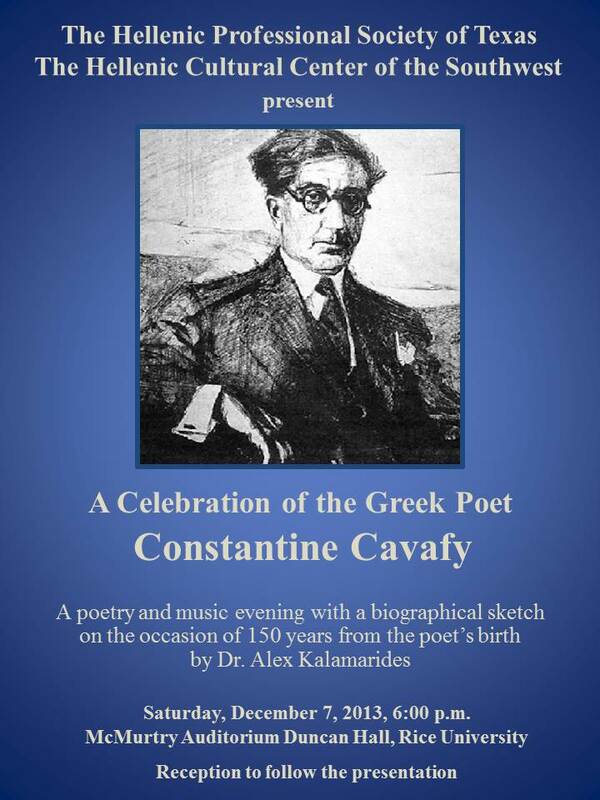 Poetry Evenings – A great number of poets were showcased over the years, including Seferis, Ritsos, Cavafy, Palamas, Karyotakis, Kavvadias, Sikelianos, and Solomos, among others. Publications – Ελλας η Χωρα των Ονειρων, Χριστουγενιατικες Παραδοσεις και Μνημες, Greek Dancing Through the Centuries. Social Events – Apokriatiko Glendi, Easter Picnic, Christmas Party, Wine Tasting and Culinary Evenings. Note: this page is under construction. Please help us make it whole. If you know of any noteworthy events that were inadvertently left out or facts misstated, please contact us and help us fix the problem. Provide the name, presenter and date of the event. THANK YOU!